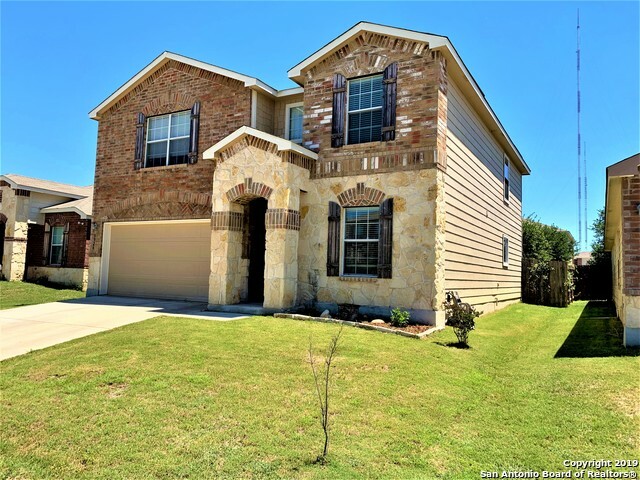 All SILVER OAKS homes currently listed for sale in San Antonio as of 04/22/2019 are shown below. You can change the search criteria at any time by pressing the 'Change Search' button below. "Remodeled! Almost everything new! 2 story, 4 big bedrooms, 3.5 baths, huge game room. Dual masters, master suite upstairs with sitting area, big secondary master down. New luxury vinyl flooring in living areas and kitchen, new carpet all bedrooms and game room. New flooring in all bathrooms. New 5 1/2 inch baseboard throughout house, all new blinds, new front and back door, new interior and exterior paint, new kitchen sink and all new appliances. Did I mention the greenbelt? Beautiful h"
"Great family home, walking distance to elementary school, located in the sought after community of Silver Oaks! Located in an area with quick access to local shopping, entertainment, and major roadways. This floor plan boasts 4 large bedrooms with the master down, large open entertaining area, open office or formal living/dining, and a HUGE upstairs loft/game room area! Private backyard with sprinkler system and covered patio round off the outside. Please see our 3D Virtual Tour!" "SELLER FINANCING AVAILABLE! Recently renovated; a MUST SEE HOME! NEW AC (10yr parts-warranty). New stainless-steel appliances. Granite countertop with mosaic tile backsplash. Pendulum lights over extended island. Ceiling recessed lights. OPEN FLOOR PLAN. Fresh interior paint. All bathrooms are upgraded! Large covered patio. Convenient location for commuting to schools and shopping. Don't miss this opportunity, call today!" "Well maintained 3 bedroom with study, 2 1/2 baths and 2-car garage in Silver Oaks. As you make your entrance you will approach study/office, 1/2 bath, open family room to kitchen with island & breakfast area, 2nd living area (gameroom) upstairs along with 3 bedrooms, 2 baths and laundry room. Master with large walk-in closet and separate tub/shower. Great backyard with covered patio." "Welcome to wonderful Silver Oaks! 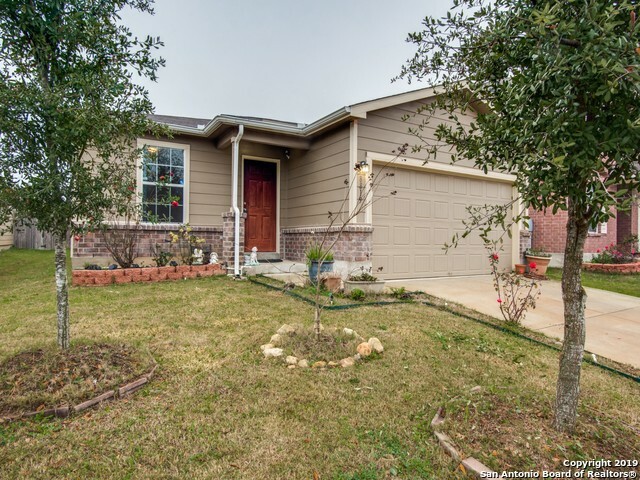 This well maintained home has plenty of space and a great yard for a growing family. There is a built-in desk, window seat and extra cabinets in the rooms upstairs. Updated 1/2 bath, wood look laminate, and updated lighting downstairs. Recent roof(within 2 years), fresh exterior paint job, new fence, and new A/C unit (March 2019)! This home is move in ready. Come take a look...you won't be disappointed." "Cute as a button!Mint condition one story gem with ceramic tile in study, kitchen & family room. Lovely island kitchen boasts breakfast bar & abundant storage! One of the secondary bedrooms features wood laminate floors. Entry & study are enhanced by 5 baseboards! Updated landscaping includes 4 fruit trees in back yard. Other upgrades include covered Patio & 2 blinds, c. fans in master & family room. Solar panels for great energy efficiency! !Owner's retreat has huge walk-in closet!" "***Special Financing Terms Available! Skip The Lender Fees & Save Thousands With Zero Plus Loan Options Exclusive to KW Listings. Call Today For More Info! *** Pristine single story home in the sought after Silver Oaks Community. Thoughtfully appointed with fresh paint, granite kitchen, and tile flooring throughout. Complete with spacious bedrooms and open floor plan. Enjoy all shopping, dining, and entertainment the Alamo Ranch Area has to offer. Covered patio & ample back yard!"